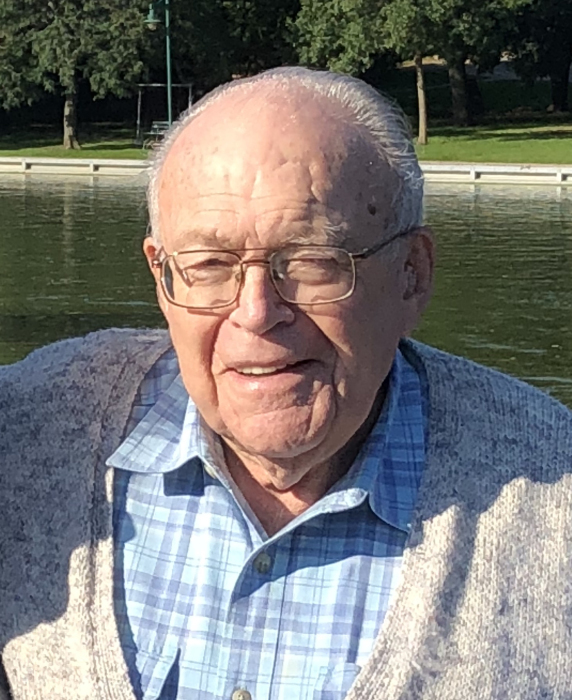 Frank Lynch, age 90, passed away on Sunday, March 24, 2019 at his home in Appleton. Frank was born January 28, 1929, in Kansas City, Missouri, to Frank and Nina (Johnson) Lynch, both of Missouri. Frank attended high school in St. Louis and, in 1949, received his B.A. degree from Washington University, also in St. Louis. After working in the advertising field for a short time, Frank was drafted in 1952 into the United States Army, where he served for six years, primarily in the 11th Airborne Division in the states and the 25th Infantry Division overseas. He was discharged late in 1956 and, in October of that year, began his career with The Institute of Paper Chemistry in Appleton, Wisconsin, where he worked for 33 years as a regular employee and then as a contract employee (by telecommuting) for 9 more years after the Institute moved to Atlanta, Georgia. In December of 1968, Frank was married to Laura Edwards of Appleton, formerly of Menominee, Wisconsin. Frank and Laura were very happily married for 39 years, until her death in July 2007. 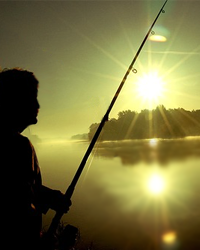 During his years in Appleton, Frank was an enthusiastic participant in outdoors sports, including hunting and fishing and competitive rifle and archery marksmanship. He was a lifetime member of the National Rifle Association, the Wisconsin Rifle and Pistol Association, and the Wisconsin Bowhunters, and a perennial annual member of the Appleton Rifle and Pistol Club and of The American Legion. Frank is survived by six children and step-children: Melia (Scott) Yankus and Dale (Brenda) Reppert, Tomahawk, WI; Scott (Mary) Reppert, Eagle River, WI; Kathleen (Ken) Kaufman, Oconomowoc, WI; Mark Reppert, Cudahy, WI; and Terry (Mary) Lynch, Hawaii. He is also survived by a brother-in-law, Jack Dabdoub, New York, NY; fourteen grandchildren: Josh Yankus, Jessi Yankus, Jeremiah Reppert, Melissa Hampp, Sean Lynch, Erin Lynch, Patrick Lynch, Tara Lynch, Luis Reppert, Nicho Reppert, Ben Reppert, Maggie Reppert, Cody Kaufman, and Zach Kaufman; ten great-grandchildren: Alexis Aguilar, Anthony Ruiz, Owen Reppert, Alex Reppert, Havana Hampp, Preston Reppert, Ruby Reppert, Gabby Reppert, Domenic Yankus and Aurora Yankus; and several nieces and nephews. Frank was preceded in death by his wife, Laura, his parents, his son Michael Lynch, and his sister, Rosemary Dabdoub, New York, NY. A memorial service for Frank will be held at 4:00 pm, Friday, May 17, 2019 at VALLEY FUNERAL HOME in Appleton. Visitation will be from 3:00 pm until the time of service, with Military Honors to follow the service. In lieu of flowers, memorial donations may be made to Bubolz Nature Preserve, 4815 North Lynndale Drive, Appleton, WI 54913. Inurnment will take place on a subsequent date at the Star of Hope Mausoleum (Highland Memorial Park) Appleton. There's still time to send flowers to the Visitation at the Valley Funeral Home from 3:00 PM to 4:00 PM on May 17, 2019.